Next month marks three years since our big move to Omaha. Which, if you’ve been following my blog since then, also marks the start of my weight struggles. I’ve shared these struggles in multiple posts on here as I’ve fought (and failed) against doubling in size in the last three years. It felt so futile that I honestly stopped mentioning it on my blog a good year ago. I didn’t want to write another post about a goal that I would end up not meeting, yet again. While I may have been silent on the subject, I haven’t gotten any happier about the situation. Long story short: I don’t feel comfortable in my skin. I’ve taken to avoiding pictures below shoulder level. It’s crazy because I don’t feel fat, or see a fat person when I look at myself in the mirror. But when I see pictures I’m in and how I look to the world, I know I have indeed become fat. I don’t recognize myself and feel like my body is this warped version of what it should be. So why am I writing this post? Why am I potentially setting myself up for public failure, yet again? Because at 25 years old, I can’t accept this. It’s not healthy. I don’t want to be resigned about how I look and feel for the rest of my life. And for the first time, I’m not attempting this alone. I’ve never done a diet plan before. I’ve always subscribed to the mentality of eating real, high-quality foods and trying to listen to my body when it’s had enough. While this is an absolutely sound plan in theory, for the last three years it hasn’t worked for me. Which leads me to believe I don’t yet have the skills and resources I need to make smart, well-balanced food decisions for my body. And if I can’t do it myself, then I need to be okay asking for help. After reading a ton of articles online (like this one and this one), I decided Jenny Craig was the right course of action for me. The science is sound, the meals are nutritionally balanced, the food is delicious, and the plan is easy to follow (The last part was key for me, as I know I would hate every minute of my life counting calories). 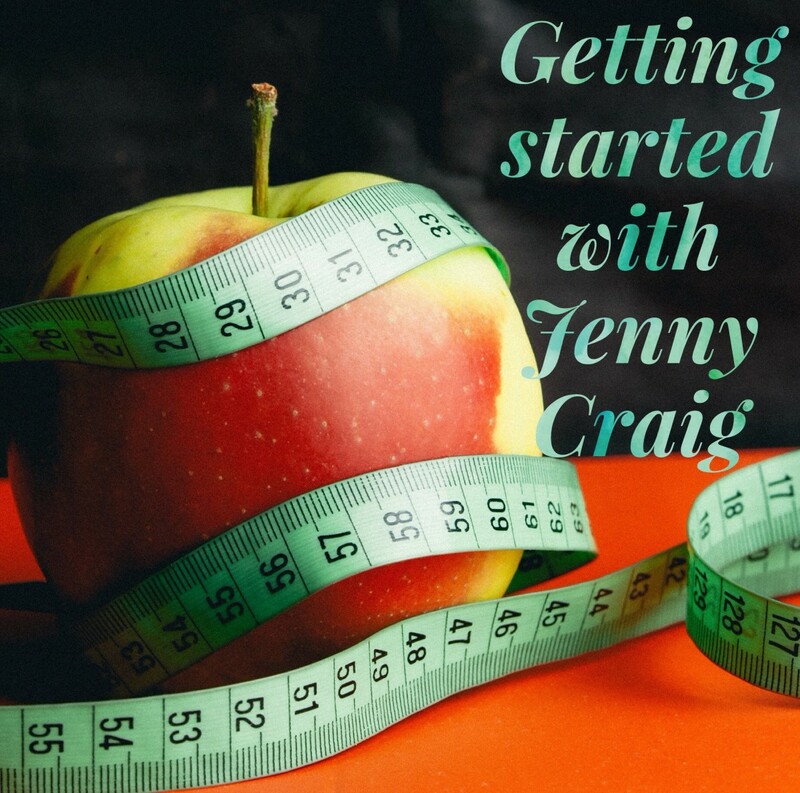 Getting started with Jenny Craig was simple. I’m doing the Jenny Craig Anywhere program, which means all my food is delivered to my door and I meet with a dedicated consultant for weekly checkups over the phone. My consultant’s name is Amber and she’s awesome at recommending ways to snack smarter and keep hunger at bay. She walked me through the sign-up process over the phone, asked about my goals, my food hang-ups, and what I’m looking to learn through this experience. I was then given a menu with over 100 food items and told to pick my favorites for my meals for the week. I am obsessed with the cheesy chicken enchilada and triple chocolate cheesecake. Every week I order breakfast, lunch, dinner, snacks and dessert (Which I get to eat daily!). The only things I don’t order are the fresh fruits and veggies I eat daily to supplement my plan. This is the routine until I lose half my goal weight, and they then transition me to begin cooking some of my own meals and start going out to eat again. By the time I lose all of my desired weight (roughly 50 pounds! ), I’ll be handling all my meals on my own. I am so excited for the process of getting my old body back. It has been way too long. Looking at this picture, I know I’m absolutely making the right decision by participating in the Jenny Craig program. I’m calling this photo my “before” picture. I had so much fun at Hannah’s wedding, but I was at my heaviest weight ever and terrified for what the photos would show. I don’t want to live my life feeling embarrassed of my body. I want to look as good on the outside as I feel on the inside. I’m a week into the Jenny Craig program and am proud to say I’ve lost 3.3 pounds! * (Without starving myself or feeling hungry 24/7.) I can’t even tell you how exciting it is to see the scale going down. That’s something I haven’t experienced in a long time. I’ve got a long way to go, but I feel confident in the direction I’m going and sure of the plan that’s helping me get there! I’ll make sure to keep you guys updated about my progress along the way. Wish me luck! Questions of the Day: Have you participated in a weight loss program before? Are you at the weight you want to be at? What are your thoughts on Jenny Craig? I’m currently on Weight Watchers Online. They had a really good deal, so my mom and I signed up. We’ve only ever had success on WW. I moved back to Omaha and gained 60 lbs when I started an office job. I want to lose more than 60 lbs, but I do like their new program. I’ve even been getting to the gym two mornings in a row this week (waking just before 5 is no easy feat!). Good luck with JC! You ROCK this plan, girl! I love that you’ve decided what is right for you, not just what society thinks. If you feel unhealthy, get healthy. You can do it! good luck, girly! you GOT this! I’ve never tried Jenny Craig before. About 3 years ago, I lost a bunch of weight (something like 40 lbs – which is a lot for my small frame) and have been slowly putting it back on. My trigger was moving in with my boyfriend. When we moved in together, my eating habits got worse and worse. I eat more often and I don’t eat as healthy. I never knew that the Jenny Craig program slowing gets you to cook for yourself. That was always my concern; that my portions / food is prepared for me and I’m not learning to do it for myself. That’s fantastic to know. Anyways, I wish you all the luck in the world Erin! I think you’re gorgeous the way you are, but if you feel unhealthy/unhappy, then you rock this out 😉 Keep us updated and congrats on the 3 lbs! Wishing you so much luck!! So unbelievably proud of you my sweet friend! You show so much will power and determination and that says so much about your character. I know you will be successful in anything you put your mind to in life! I’m excited for you and your journey. Making the choice to start is not always easy. I’ve lost 55 pounds and did it by calorie counting on MFP. It was a long journey and it’s a journey I’m still on and will most likely always be on. I’m a huge foodie and love wine so it’s hard finding the perfect balance. Congrats on the 3.3 pounds already! That’s awesome! You’re going to do great!! Be sure to follow No Thanks To Cake. She has some awesome Volumized Recipes using JC. I know the struggles with weight loss so I get what you’re going through. It’s so great you’re making the committment to change. You will do great and you have lots of people supporting you! One day and one pound at a time; you got this! Yay, yay, yay! I’m so excited about this for you! 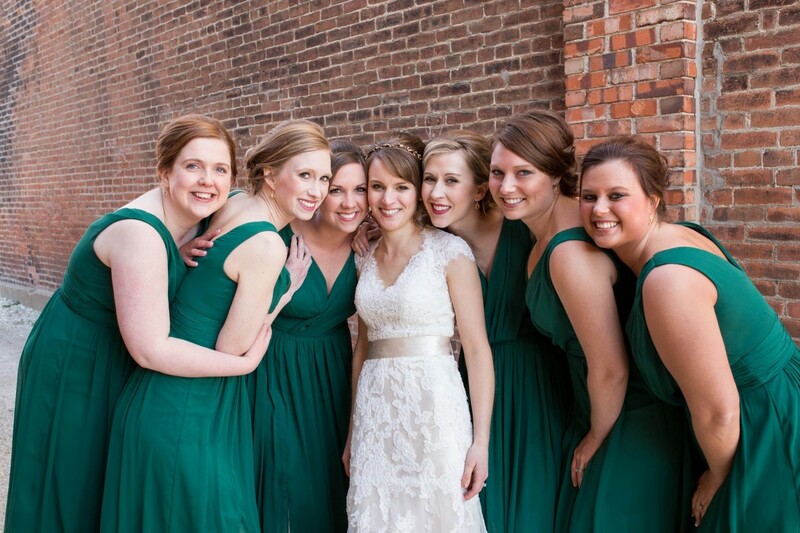 Also, everyone (including you) looked beautiful on my wedding day!! Good luck!! You look beautiful and glowing in that picture you posted, but I do believe we should feel good about ourselves, inside and out, and taking the steps to make that happen is brave and important! Good luck! I lost 50 pounds at about your age and kept it off for good. You can do this! Good Luck! Enjoy and please keep us updated on your great results. Thank you for sharing publicly! It’s so, so hard to lose weight. I’m right there too—only I’m over 40 (a-hem) and it’s gotten even harder. Do it now while you’re young 🙂 Congratulations on taking the step! You’ve totally got this lady! I did Weight Watchers a little bit as a kid with my mom. I struggled with weight for a really long time, starting as a kid, and unfortunately after a certain amount of struggling I feel like it’s something that always stays with you – the dieting mindset I mean. I am at a point in my life where I am healthy, but still find myself being overly critical. It’s hard. But hearing about other people working towards their goals is so uplifting. I have all the faith in the world that you can accomplish this. I don’t have any experience with Jenny Craig but you do you, lady. Wishing you lots of luck with the plan. Just remember to set small, attainable goals to keep yourself motivated. Girl I had the exact same moment at my besties wedding in April been trying to do better but not doing very well. Looking into JC now. When I was a Freshman in college I found myself 20 lbs heavier than I had been in high school. I felt like I was eating in a balanced manner, but in truth I was snacking and nibbling so much that I had actually forgotten what it was like to feel really hungry. I started Weight Watchers, which taught me all about the benefits of fruits & veggies, fiber, and “spending” my calories wisely. I learned that just like with money – you can’t have everything you want – but you can prioritize what’s important to you so you get the things you love most. And this mentality has helped keep me healthy, and more importantly happy, ever since. (despite ups & downs which I think are inevitable). I wish you the best and support you 100%! So excited for you and can’t wait to follow your weight loss journey! I had my own weight loss journey two years ago. I felt the same as you…not comfortable in my own skin. And I didn’t notice in the mirror as much but any time I saw a picture of myself I knew I needed to change. I counted calories to lose my weight and it worked great for me. I ended up losing 36 pounds! I’ve maintained my goal weight for 2 years now. It’s still a struggle every day but so worth it being healthier and more confident. I know you can do this! The hardest part is making up your mind that you are going to make that change! Good luck!!! I used WW when I was in high school to help me drop some weight (and ended up loosing about 25 on the program). In the past couple of years, I’ve gained these pesky 10 pounds that I can not get off and it’s incredibly frustrating. I’m considering meeting with a nutritionist to see if I can get some answers as to what I can do about my diet. I completely understand the struggle and frustration that comes from not being able to shake off added weight. Good luck with JC…3.3 is a great place to start! I’m so glad we are going on this journey together! You have a cheerleader in Atlanta! You can so do it! 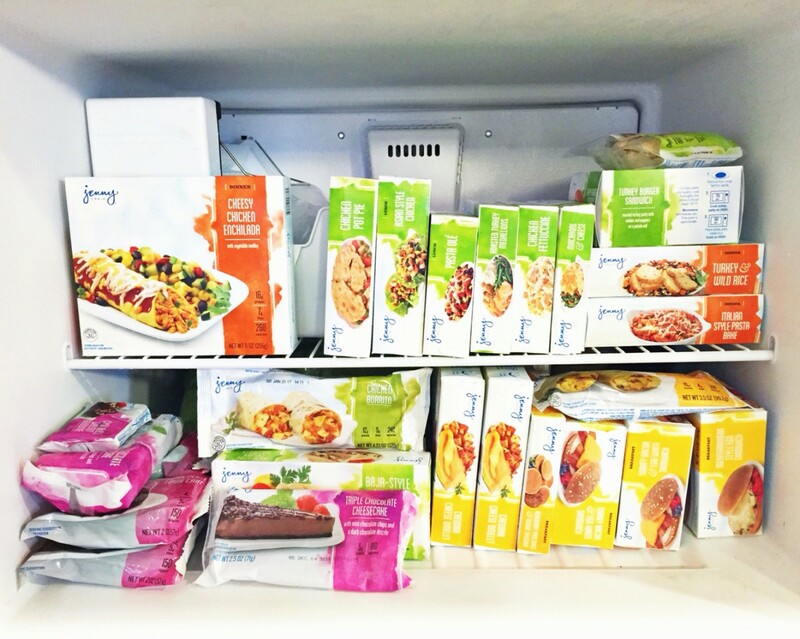 I haven’t tried Jenny Craig, but I’ve tried WW and these programs really are so great! Good luck girl! Thanks Adriana! I really appreciate the support! Hi Erin! I just stumbled upon your blog, and I’m already a huge fan… especially of posts like this where extra courage and vulnerability is required! You are beautiful and deserve to feel even more so. I’m looking forward to seeing how things unfold, no matter what, with no judgment and only love! <3 I've been exactly where you are and know how scary it feels to attempt something for the umpteenth time and risk failing publicly (again… and again). Best of luck on your health and fitness journey! Many years before I managed to lose 50 pound and keep them off. I know it is so hard. Well done!